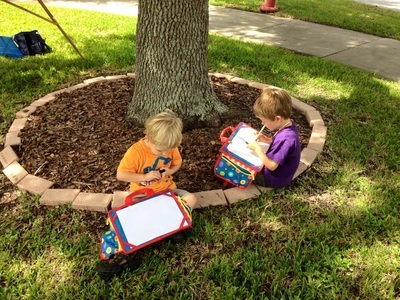 The City of Ocala and the Magnolia Art Xchange invite artists in High School up to the age of 30 to submit entries for the 2019 Student and Emerging Artists competition and exhibit. Artists are to create work inspired by the theme ILLUSION AND REALITY. Work will be accepted on a first come, first served basis. The juror will award winners in each division and Best of Show. Judge’s decisions will be final. Awards will be given at the discretion of the judge and presented at the reception on Thursday, April 11, 2019. The Student and Emerging Artist Competition engages and caters specifically to students and young emerging artists. 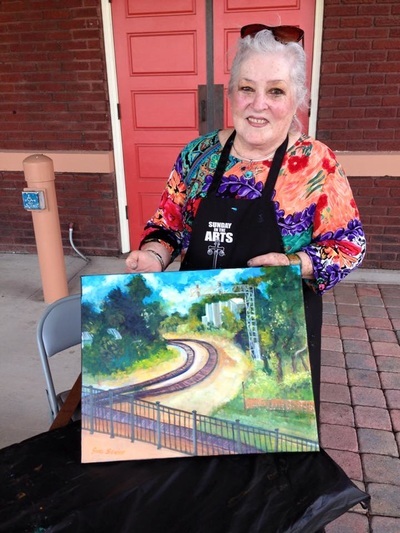 Through this program, artists learn about professional support for available to them in Ocala and are encouraged to begin to participate in programs, join organizations and gain professional experience. This is a juried show that provides artists with an opportunity for ribbons and prizes, as well as a professional exhibition to add to their résumés. In 2018, artists were asked to submit work inspired by the theme Reflections. 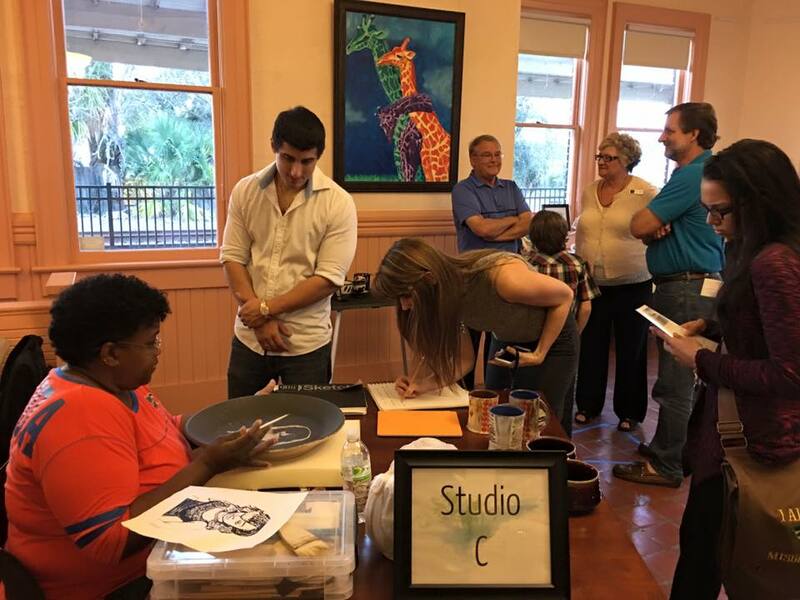 On November 9, 2017 the community gathered to participate in the 2nd MAX Art Heist, raising funds to launch Ocala's first art incubator. The event included the "Art Heist Game" and stealthy players walked away with original artwork by local artists. 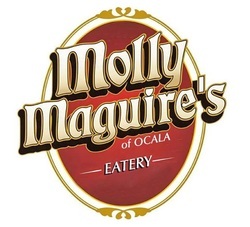 We would like to sincerely thank our event sponsors: Ocala Style Magazine, 7 & 7 Coffee and Wine House, The Braised Onion, Molly Maguire's, Pronto Pizza, The Ivy House Restaurant & Catering, and Dee Dee's Diner. 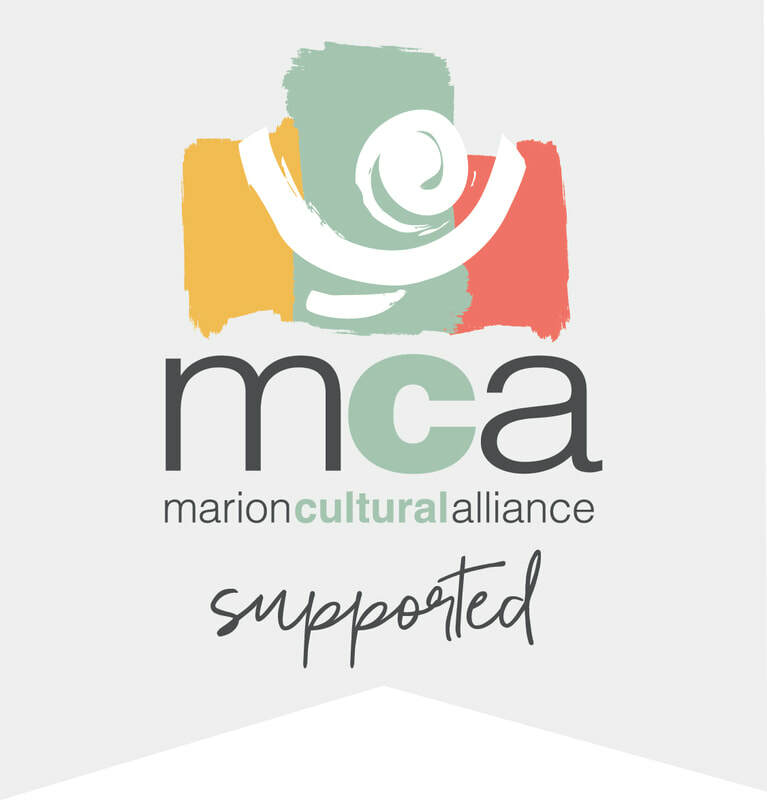 Please support those who support the arts! Guests were stealthy and walked away with original artwork created by local artists like this beautiful photograph by Karen Couture! ​On September 23, 2017, painters, photographers, and sculptors participated in our 3rd annual "plein aire paint out" - celebrating our historic downtown and the recent cityscape improvements. 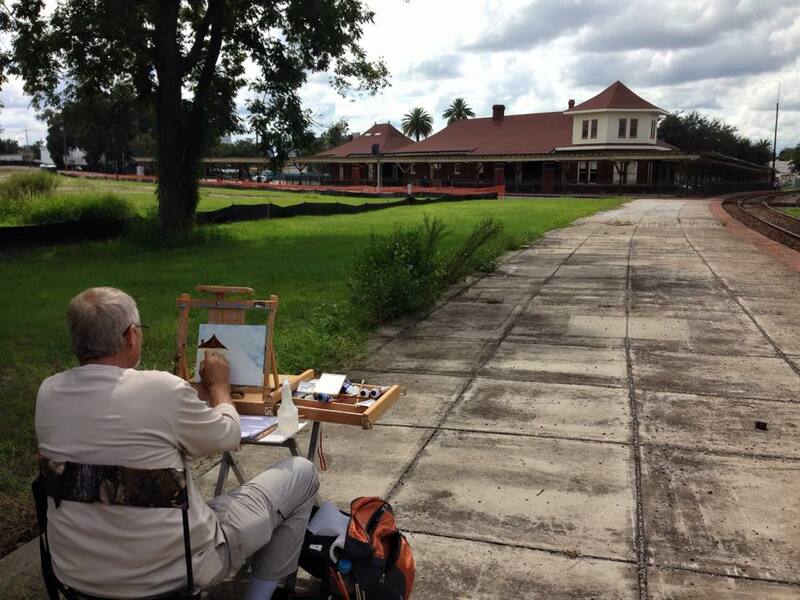 Completed work was exhibited at Ocala Union Station during the MAX Art Heist event on Thursday, November 9th, 2017 with many works of art being donated to the Art Heist game! A BIG THANK YOU to Ocala's Painting With A Twist and all who came out to attend this great event! 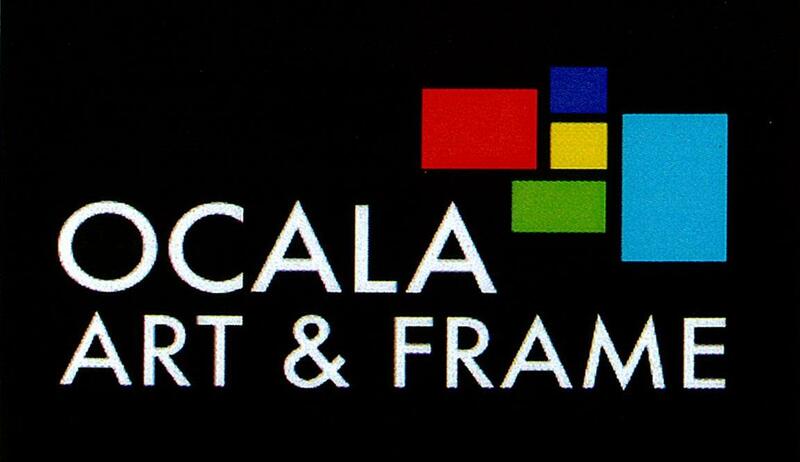 We had a whole lot of fun AND raised over $1,400 for MAX which will be doubled by Fine Arts For Ocala! 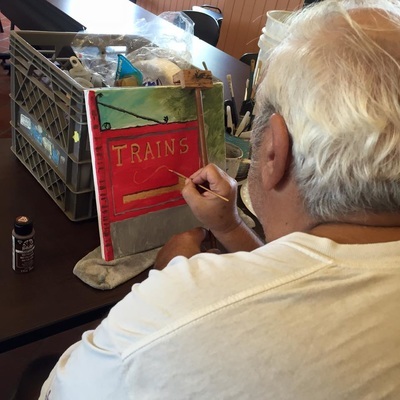 This class was custom-designed specifically for the Magnolia Art Xchange and was led by Painting with a Twist instructor and MAX Board Member Mel Fiorentino. Participants created a beautiful magnolia flower painting. 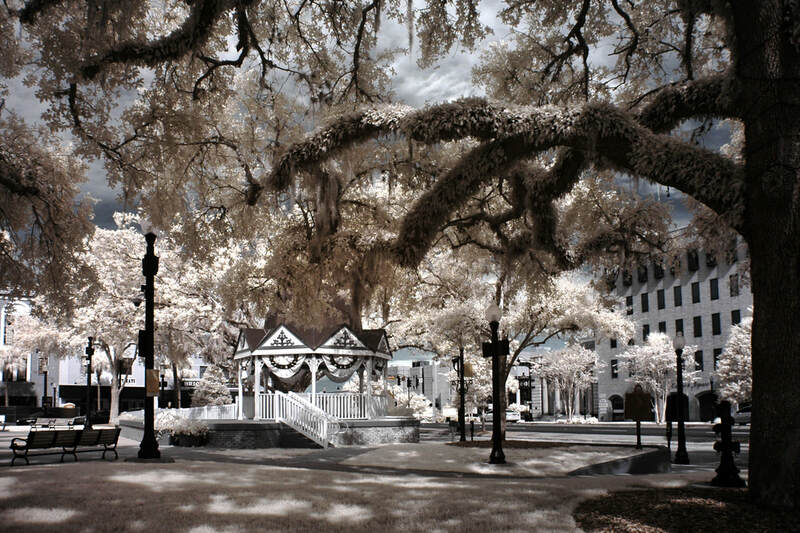 ​In Spring 2017 MAX and the City of Ocala invited artists between the ages of 16-30 to submit entries for a competition and exhibit, Ignite Your Dream. Artists were requested to create work inspired by the Howard Thurman quote: "Don't ask what the world needs, ask what makes you come alive, and go do it. Because what the world needs is people who have come alive." Congratulations to all of our award winners and thank you to all the artists who participated in the competition! We hope you will continue to pursue your dreams! This exhibit will continue to be on display at Ocala City Hall through September 7, 2017. The Student and Emerging Artist Competition engages and caters specifically to students and young, emerging artists. 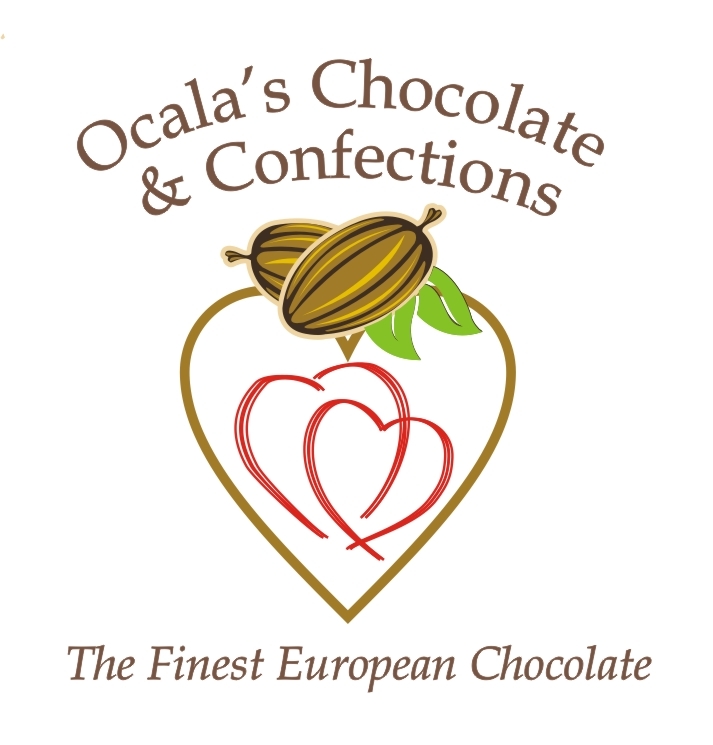 Through the competition platform, artists learn about professional support available in Ocala and are encouraged to begin to participate in programs, join organizations and gain professional experience. This is a juried show that provides artists with an opportunity for ribbons and prizes, as well as a professional exhibit to add to their résumés and experience. 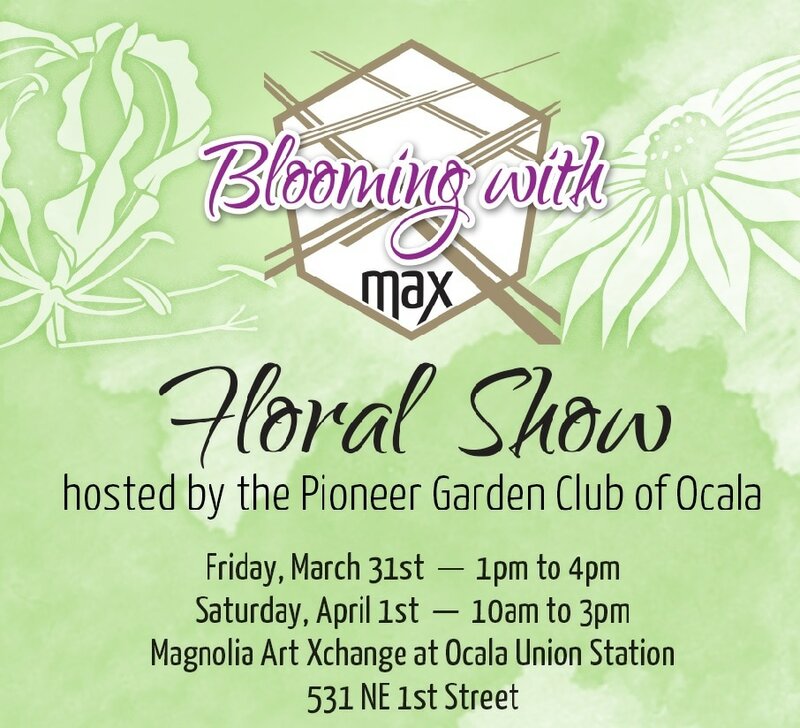 ​On Friday, March 31st and Saturday, April 1st MAX hosted the Pioneer Garden Club of Ocala's annual floral show. The floral arrangements were inspired by master artists: Calder, Dali, Mondrian, Monet, Rodin, and Warhol! 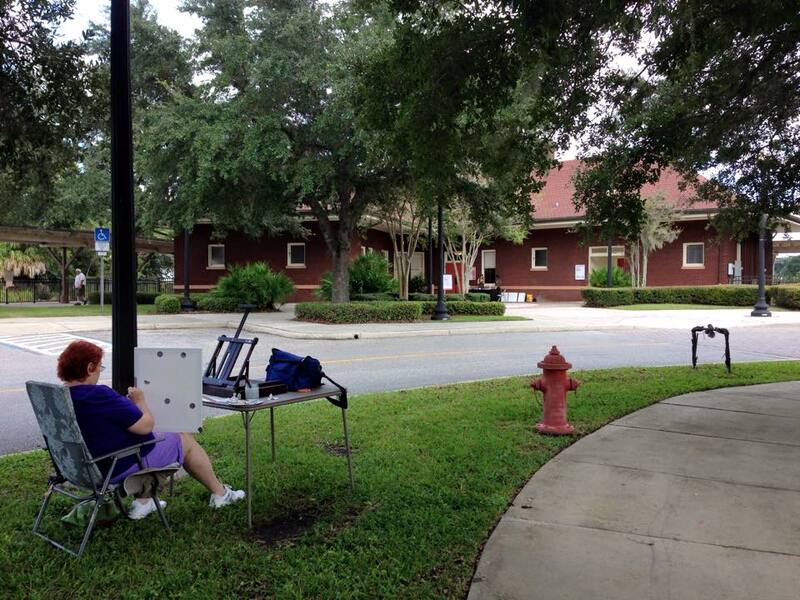 the Pioneer Garden Club of Ocala by visiting www.pioneergardenclub.org. ​On Tuesday, December 6, 2016 MAX hosted an artist talk and lunch with internationally recognized contemporary public artist and award-winning painter, Alex Brewer, known as HENSE. Guests learned about his creative process, his experiences installing public art abroad, and why he selected the Seminole Feed building in Ocala, Florida for a mural installation. Sponsored by PDQ. Learn more about HENSE and his large-scale public art by visiting www.hensethename.com. Photograph courtesy of Ralph Demilio Photography. 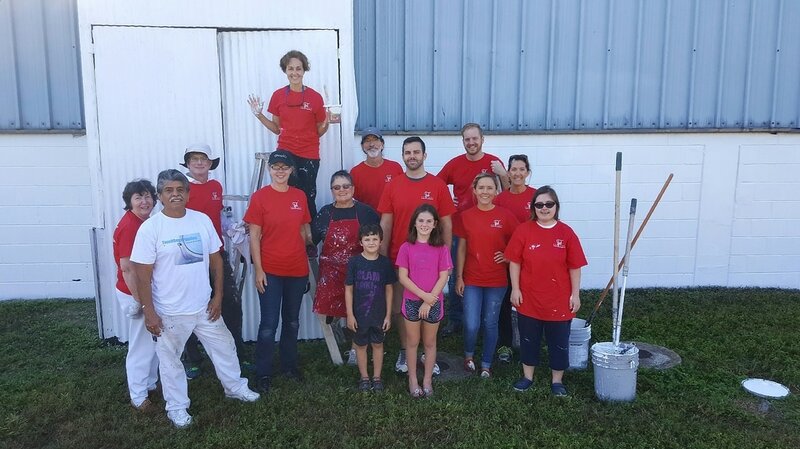 On Saturday, October 29, members of the MAX Board of Directors and Advisory Council helped to prepare the Seminole Feed wall for the installation of the HENSE Mural by priming the 200' linear section of block wall and the pump shed and pipes. Through great teamwork they accomplished the monumental task with two coats of paint in less than 4 hours! On November 17, 2016 the community gathered to participate in the first annual MAX Art Heist. Winners were stealthy and walked away with original artwork created by local artists. At the end of the evening over $4,000 was raised to benefit the Magnolia Art Xchange project. 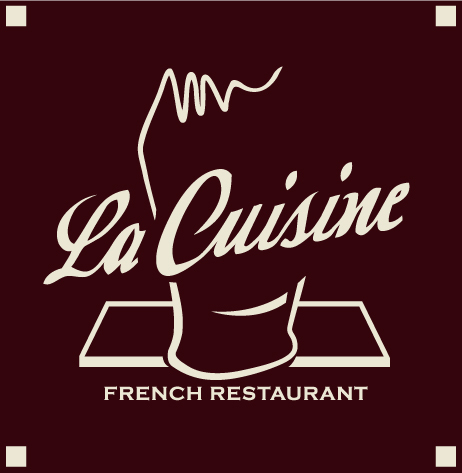 We would like to sincerely thank our event sponsors: Ocala Style Magazine, PFL Productions, Party Time Rentals, Brick City Southern Kitchen, La Cuisine, The Lunchbox, Pi On Broadway, Dee Dee's Diner, and Courtyard on Broadway. Please support those who support the arts! THANK YOU to the many artists who supported the Art Heist Fundraiser! 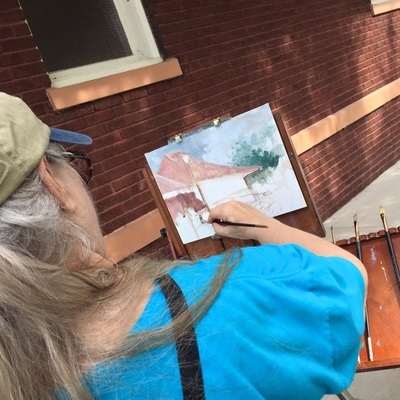 On October 15, 2016 artists working in all mediums were invited to participate in the 2nd annual MAX Paintout. This event was held in conjunction with the Tuscawilla Park Centennial Celebration, which was also the grand opening of the new Art Park. 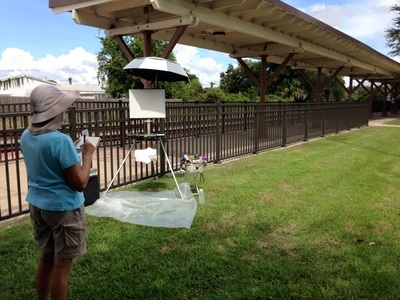 The Art Park is located adjacent to Ocala Union Station and is an urban landscape conducive to the creation and display of visual and performing art. The Art Park has a symbiotic relationship with the Magnolia Art Xchange and provides additional opportunities for artists to explore the creative process. 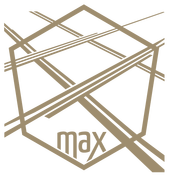 All participating artists have been invited to display their completed artwork at the Art Heist event and may elect to donate their work as a prize in the Art Heist Game. We are pleased to share great photographs from the afternoon's festivities courtesy of Rachel Laxton Photography. MAX is one year old! ​It has been a year since the incorporation of the Magnolia Art Xchange, Inc., a registered Florida not for profit organization. The public was invited to attend our annual organizational meeting held on Monday, July 18, 2016 at Ocala Union Station and learn about our first year achievements and future plans. If you were unable to join us on July 18, please take a moment to view our annual report, which you may also download. 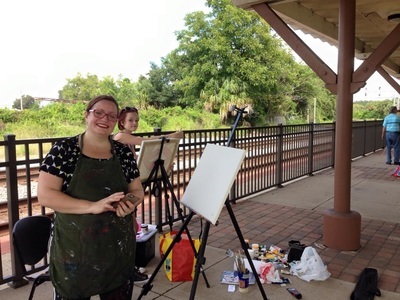 The MAX Open Houses provided an opportunity to learn about Ocala's first Art Incubator including our future amenities, artist and community benefits, and ways to participate in building MAX! 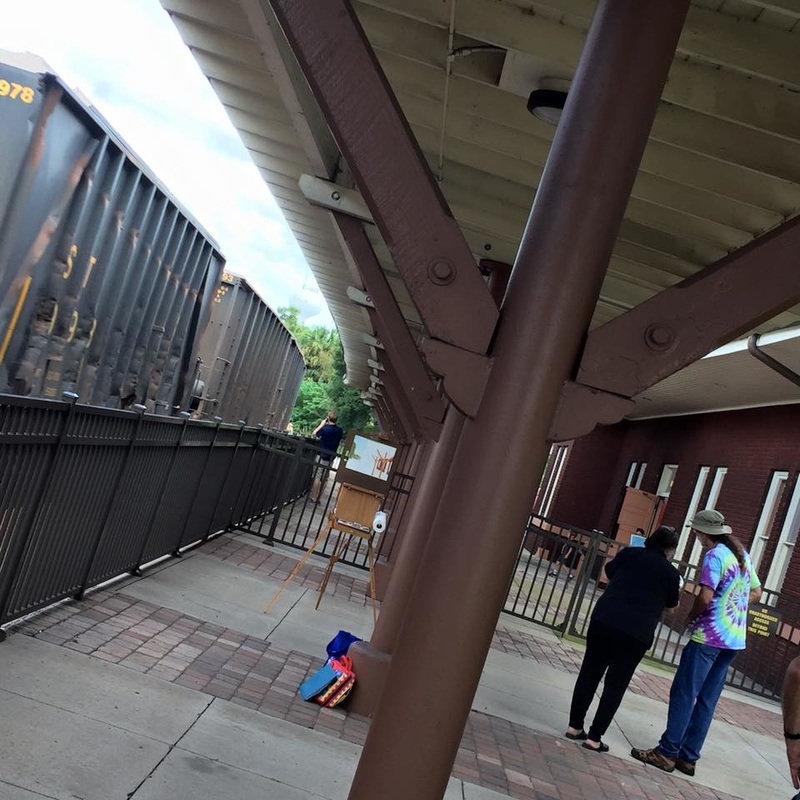 Guests toured the historic train station while enjoying complimentary refreshments. 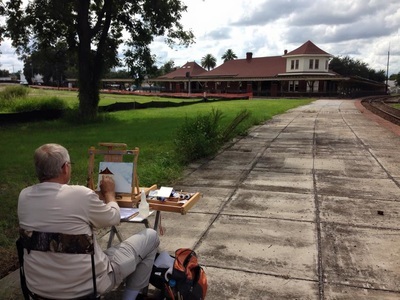 The MAX Paintout Exhibit celebrated twenty-seven local artists' interpretations of historic Ocala Union Station, created at the inaugrial MAX Paintout held on September 26, 2015. The exhibit was located at City Hall and displayed from Sept. 26, 2015 thru Jan. 12, 2016. This successful paintout and exhibit opportunity will return in 2016! 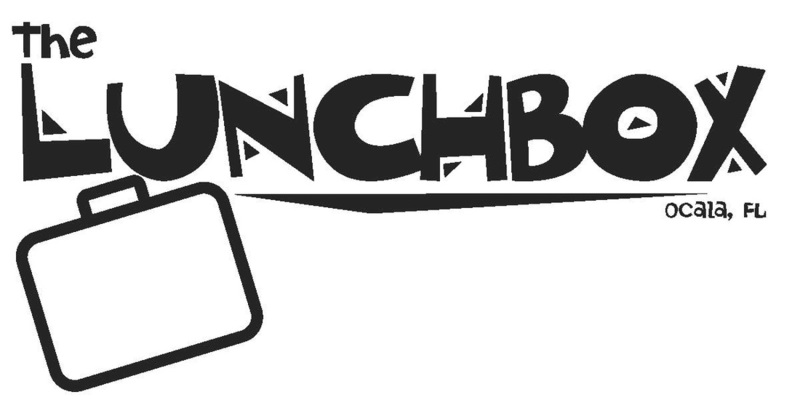 If you are interested in participating, please complete the fill-able form available on the "Contact Us" page and we will add you to our mailing list. Please take a moment to view the slideshow of images from the opening exhibit reception held on October 15, 2015.